September has dawned upon us and for those of you who don't know, this month's birthstone is the beautiful, sparkling sapphire. 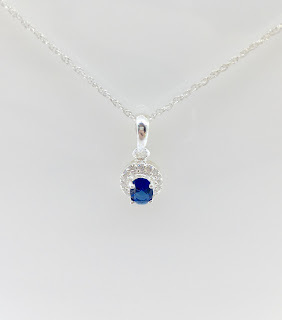 A deep blue stone, sapphire was historically used to preserve chastity and to protect wearers from ailments such as skin conditions and fevers. In modern day, it is a stone that represents wisdom and wealth, often featured in the jewellery of monarchs (think Lady Di's ring). 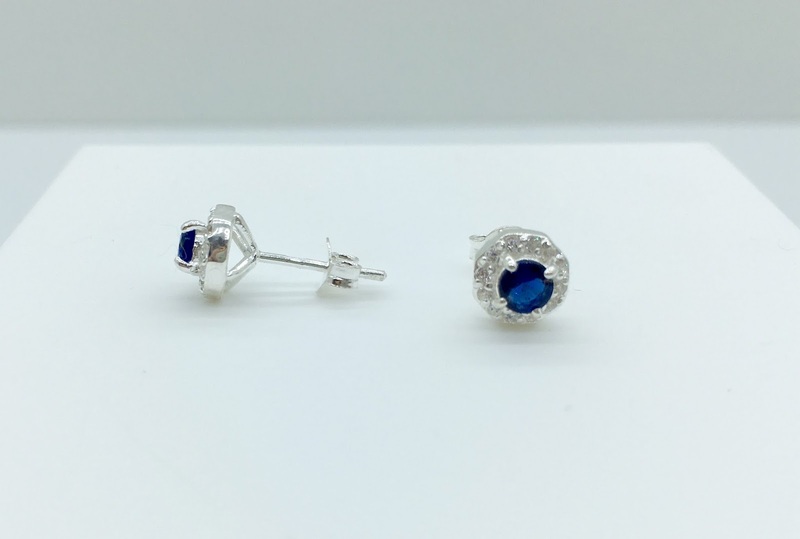 Here at Essential we - though we are no outlet to royalty - have our own range of sapphire-inspired accessories, including sterling silver earrings, pendants and rings. Pictured here are a pair of our dazzling rounded-stone earrings framed with micro-set cubic zirconia (left) and a matching oval-shaped pendant on a sterling silver twisted curb chain (right). These items make great gifts for birthday girls this month or are even popular as accents to an elegant ensemble. They are the perfect accessory to take an outfit from day to night and are sure to sparkle all evening long. Visit us in store to get your hands on them now!